Jesus was literally a man ahead of his time. When we declare this to be the year 2016 AD, we supposedly use the birth of Jesus as our benchmark. It is a sign of his influence that we mark time in this way. By the way…the initials AD, do not mean “After Death.” The calendar was never reckoned by the date of his death, but by the date of his birth. The initials stand for the Latin word “Anno Domini” which means “Year of the Lord” in Latin. But, the accuracy of the benchmark is pretty dubious. No one knows for certain, exactly when Jesus was born. The Scriptures provide no date, and the few clues they provide are rather vague. But scholars are in agreement, that our current dating system missed the most likely period in which his birth may have taken place by four to six years. Of course, we don’t know on what day or in what month he was born. The earliest Christians didn’t celebrate Jesus’ birthday. We’re not sure when they started doing so. The first historical mentions of it come in the fourth century, but they indicate that celebrations had been going on for some time. The date for Christmas (The Christ Mass) was established by the church, probably to compete with pagan festivals marking the passing of the Winter Solstice, after which each day began to have a minute more of sunlight. The “return of the light” was a cause to celebrate in many cultures, and the Christian adopted the tradition, using it as a metaphor for the coming of the Light of the World. 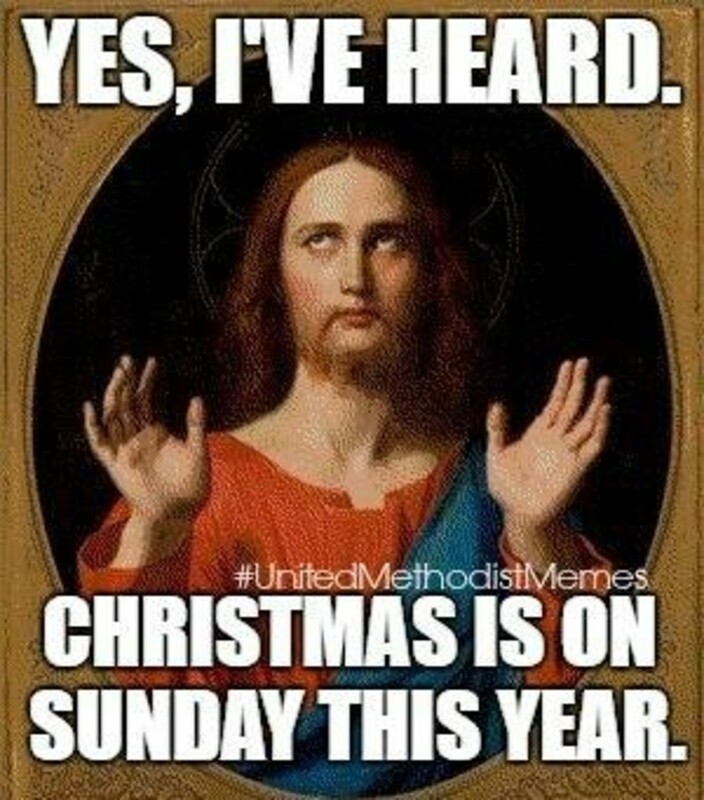 But, the church has never claimed December 25 was Jesus’ actual birthday. It’s interesting that the man whose life would provide the very turning point upon which we mark the times of our lives, was born in such utter obscurity that no one, even a few decades later, could say with any certainty when he was born. But, at the time, the birth of one more Jewish peasant child was hardly regarded as a big deal by most of the world. Wise Men, shepherds, and angels notwithstanding, his birth didn’t make much of an impression at the time. But, unbeknownst to so much of the world, God was present and at work in a way that would surprise, startle, and stun. The unknown child born to obscure parents would, in God’s good time, would have such an impact upon humanity that we mark time by his coming. God has a way of surprising us. That’s why Jesus constantly advised people to be watchful. The divine can appear amidst the mundane and the unexpected. Worship is one way we practice watchfulness and open ourselves to be surprised by the presence of the One who is nicknamed Emmanuel (God With Us). I hope you will make a point of joining with us in worship. Take time to be with the One by whom we mark time, and be prepared to discover God’s surprising presence, afresh.